When should I renew my study permit? Study permits are generally valid for the duration of the course for which they were granted, or for three years for school and two years for other institutions. Depending on what your original visa stipulates, you may have to apply for a new permit if you plan to change your course of study or institution. Nationals of India, Zimbabwe and GAP students are exempt from visa fees. What’s the time required to get a visa? 3 days to 10 weeks, depending on country of origin. 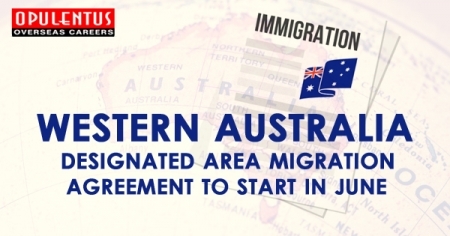 It usually takes around six weeks for a study permit to be processed. It’s a good idea to make your application as early as possible. If you are applying for a renewal, you should do so at least 30 days before the expiry date of your original visa. How to apply for study permit? Once you have received conditional acceptance from the South African educational institution you want to attend, complete a study permit application and submit it to your nearest South African office abroad. If you are an international student intending to study in South Africa – whether at a primary, secondary, or tertiary educational institution – you must first apply for and be granted a study permit. A South African educational institution cannot register an international student until a valid study permit has been issued. Can I take my family to South Africa? Spouse immigration and dependent immigration are permitted where applicable and applicant's immediate relatives may immigrate to South Africa for the same duration as the principle holder on tourist visa. The students cannot take up a full time job but can go for a part time job. However, no restriction upon working hours will be imposed in vacation periods if a letter of permission is obtained from the educational institution. I have a job offer letter from a South Africa employer. Can you process my visa? If yes, please provide me Visa fees, Visa duration and Opulentus charges. Yes, we can process your visa. 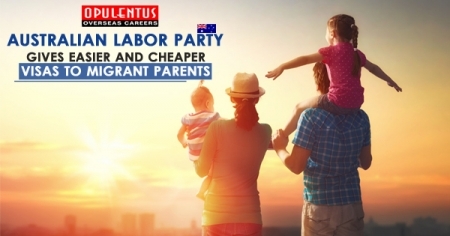 Since you already have a job offer in hand, you can go for General Work Permit. The General Work Permit is issued in the name of the employer, and it shall lapse if, within six months of its issuance, and within every year thereafter, its holder fails to submit satisfactory proof that he or she is still employed and of the terms and conditions of his or her employment, including the job description. For VISA processing, you should be able to get all the required documentation from future employer in support of your employment. Visa fee payable to the Minister of Home Affairs is R1520 (i.e. INR 9822, approx). It’s also mandatory to go for qualifications assessment by SAQA. Application fee for SAQA can cost anywhere from R440 to R880 (INR 2843.00 to INR 5686.00) depending up on how fast we want the processing to be done. Postage and handling charges will cost up to additional R365 (INR 2358). 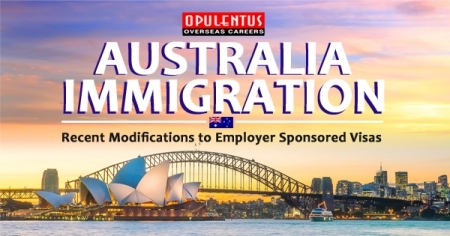 Opulentus charges for South Africa General Work Permit is INR 35,000. What are the capitals of South Africa? There are 3 capitals Bloemfontein, Cape Town and Pretoria. At Bloemfontein the Supreme Court is located and at Cape Town, the Parliament is situated, while at Pretoria, one comes across the administrative center. When is the best time to visit South Africa on a holiday? The entire year is a holiday year in South Africa. Much would depend upon your activities and what sort of experiences you so desire. For game watching, one can visit during spring (August-October), for whale watching one can plan a visit from mid-June to end of October, for diving as well as surfing from April to September. As far as summers are concerned, that is from November to February, one can spend time at the gorgeous beach front. What are the hours fixed for banking? The normal banking hours are from 9.00 am-15.30pm from Mondays to Fridays and on Saturdays, it is from 8.30 Am-11.AM. Banks are of course closed on Sundays and also on public holidays. Credit cards are accepted widely such as Visa, American Express and Diners Club. What sort of clothes one needs to pack while visiting South Africa? South Africa is considered to be casual country and therefore people like to usually dress up causally. T- Shirts, denims as well as skirts, which are fine to wear during the day time. To work one wears semi-formal attire and that applies to upper class clubs and restaurants. In most of the restaurants, pubs and bars one can wear casuals. For swimmers at the beach 2 piece or 1 piece swim attire will do. In other words, jeans, sneakers shirts, sneakers, blouses, skirts as well as pants. What are the Visa requirements to enter South Africa? The entry is pretty straightforward. Certain nationals, like those from Scandinavian countries, and USA and most of Europe need not apply for a visa. On arrival the visitor is provided with a “free entry permit sticker” which furnishes details about the duration of their stay. This permit is valid up to 90 days, In case, one wants to stay longer than 90 days then one is required to apply for a visa. Which are the most popular places to visit in South Africa? Visitors visiting the country for the first time prefer to visit Johannesburg and Pretoria, Gauteng, where Soweto Township is situated. The cosmopolitan and urban lifestyles attract people to these places. Kruger National park is worth visiting and one can take some time off and visit Western Cape, especially Cape Town and also spend their leisurely hours at Garden Route. Are they big cities with modern amenities in South Africa? Certainly, Johannesburg is a sprawling city much wider than New York and London. One comes across 5 -star accommodation and there are 4 star hotels as well at Sandton and Emperors Place quite close to the airport. One comes across several cosmopolitan restaurants. Can one mix easily with South Africans? Very easily as they are friendly and easy to converse with. They speak in English and are frank and open and receive foreigners well. Decade ago this was burning issue, but now South Africans have successfully managed to overcome their racial biases by putting them aside. Now, the South African government reflects all races. Is South Africa a place to visit with family? Certainly it is. In fact, some establishments are child- friendly. What is the currency in South Africa known as? The currency is Rands and cents. What kind of shopping one can go in for? There are markets catering to local handicrafts, gold and diamond jewellery, leather goods, carvings, paintings , sculptures, bead work as well as woven articles. In fact, South Africa is a tourists’ delight. What sort of safety precautions one must take as a visitor? One must not leave one’s luggage unattended in the hotel or perhaps in the lobby. One must keep one’s valuable in the safety locker in the hotel. One can go for stroll alone at night but not walk around in deserted places.